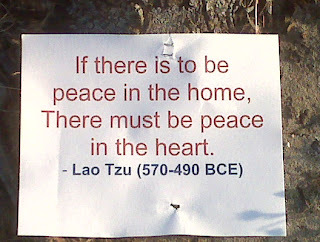 Did you know that today is International Day of Peace? Along with Christmas, Earth Day and my birthday, I count this day as one of my favorites. My day will be off to a perfect start when I drop off my youngest daughter at school. 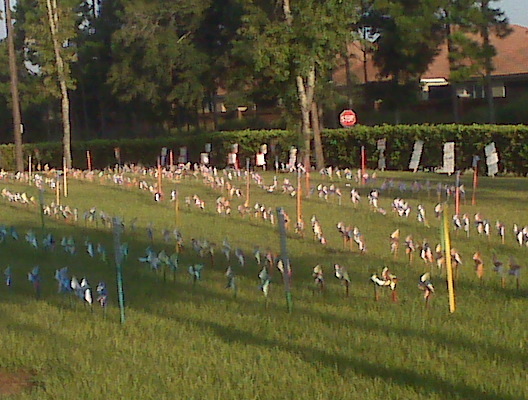 We have a caring and creative art teacher who helps the children create individually decorated pinwheels for peace and places them on the front lawn along with inspirational quotes. There are hundreds of them and the imagery is moving to say the least. 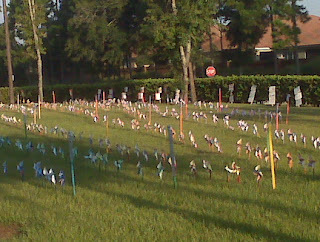 I carry the picture of not only those pinwheels for peace, but of the children that are behind their creation, with me throughout the year. This year, as I was planning how to share this day with you, I was reminded of the excitement that my middle daughter has for wearing her commitment to not only one International Day of Peace, but for relaying her message of peace throughout the year. She has a tee that has a peace sign on it and it is one of her favorites. Without saying a word, she speaks volumes to all of those around her. This year, in honor of my daughter, I wanted to give you 5 ways to speak volumes and spread your message of peace throughout the year without saying a word. Enjoy. 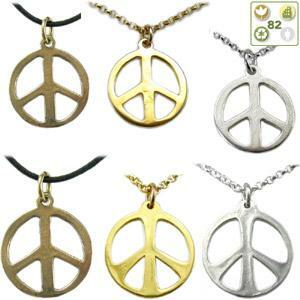 The peace sign jewelry offered by From War to Peace is the first time that the Peace Symbol of nuclear disarmament is actually created from disarmed and recycled nuclear weapons. Originally designed by Gerald Holtom. - Small: is 3/4" tall by 5/8" wide and weighs 1 gram. 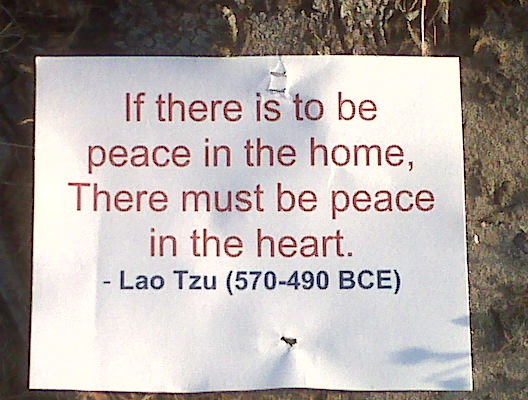 All From War to Peace jewelry is made from Peace Bronze - Jewelry from recycled and disarmed nuclear missile systems. The new Rebel Green Peace Girl Tee is made with the softest, American-made organic cotton, and printed using only environmentally-friendly inks. 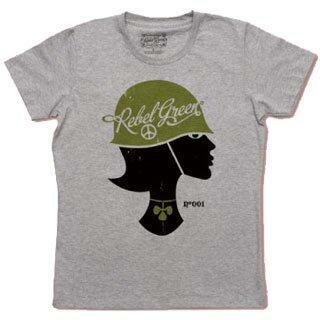 The Peace Girl Tee comes in Heather Gray and sports a hip and funky design of a girl wearing a rebel army hat with a peace sign on it. Form fitting and extra comfortable, the Peace Girl Tee is a great addition to your eco-fabulous wardrobe. Made in the USA. 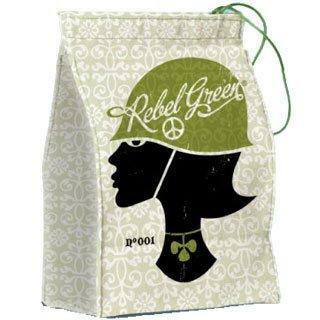 This organic cotton lunch totes from Rebel Green are designed for the smallest kid with a cubby to the biggest kid in a cubicle. This lunch tote comes with a pocket that just so happens to look adorable when combined with the litter-less lunch napkin. The lunch totes come with one organic cotton napkin with the repeat pattern. Material: 100% certified organic cotton. Printed with low-impact inks. SnackTAXIs are are a fun and hip alternative to plastic sandwich bags and they are a perfect complement to your no waste lunch. Made in the US (this mom-owned business is based in Massachusetts and relies on a core group of talented local seamstresses!) snackTAXIs are lined with coated nylon, and can be machine washed and dried, or simply wiped clean with a damp sponge. The Stainless Flip Straw design is great for sipping without unscrewing the cap or tilting the bottle. The patent-pending lid with Nathan's finger loop QuickClip attaches the bottle to a belt, shoulder strap, or pack strap with ease. The wide-mouth, screw-top lid is easy to grip and large enough for easy filling and cleaning. 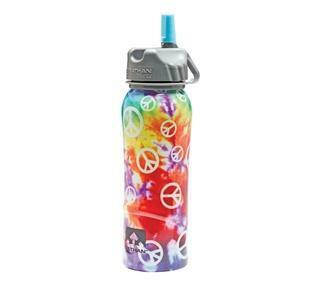 A great choice for a BPA-free sports bottle that speaks volumes. 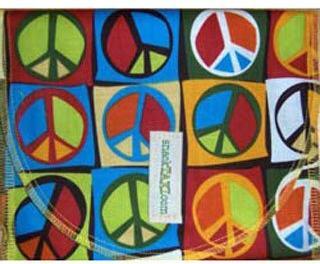 If a picture paints a thousand words, the imagery of these peace items can touch a thousand hearts. Enjoy the day and remember to live life like there is no tomorrow, but create the tomorrows that you want to live.